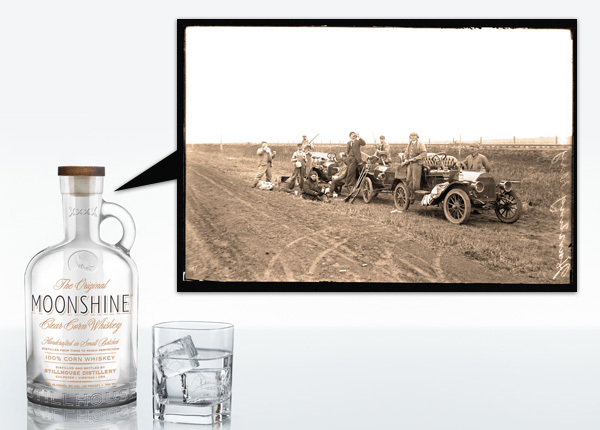 Is Moonshine ready to try an take on tequila that’s been the new vodka as of late? The Original Moonshine from Stillhouse is the latest to launch, and i must say, i’m loving the bottle… from the XXXX on the fancified jug (somewhat like our Liqurious favicon/twitter avatar) to the howling wolf logo… and to be honest, i do love bottles with the finger loop (like Kraken that has two!) This is an 80-proof clear corn whiskey handcrafted in Culpeper, Virginia, using the only operational Prohibition-era copper pot still in the US. It’s the brainchild of entrepreneur Brad Beckerman and chef and restraunteur, Adam Perry Lang. They say the flavor is “most noticeable when sipped just shy of neat with a splash of pure water. When well bruised with ice, it transforms into a creamy, voluptuous, satiny texture.” But i have yet to taste it for myself. Other fun facts? It’s all natural, gluten free, and charcoal filtered! The story of how the 3 year adventure designing this whiskey came to be - “I became obsessed with clear whiskey years ago when a fellow barbecue competitor shoved a jar in my face and said ‘drink this’ at a competition in the south, ” says Perry Lang. Take a peek at some close up pics of fun old photos as well as the bottle on the next page! Lelo INSIGNIA ~ the Swedish brand’s latest line of luxurious pleasure objects launched this week, marked with the triple loop infinity symbol! Taking the pleasure out of the bedroom, they even include a beautiful INSIGNIA Brooch in each gift box, which can easily be worn in plain view, as if part of a secret society, where anyone who responds or reacts to it, you’ll know they too… love… pleasure… and beautiful objects? The symbol also houses the three buttons on each of the objects in the collection (Alia, Isla, and Soraya) and each has a void through the shiny metallic core that you can slip your fingers through to easily grasp them. All are waterproof, powerful, and discreetly quiet, and come in a gift box that looks topographically inspired when the object is removed. See a close up of the design details as i unbox the Soraya on the next page, as well as a peek at the Alia and Isla. 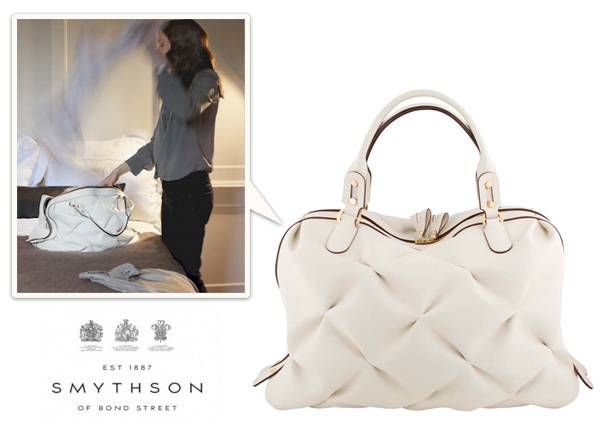 I’ve always been quite smitten and secretly lusting after Smythson’s Nancy Bag, as well as the darling clutch, and the tote is stunning too! There’s something so architecturally fascinating with the way they’ve managed to perfectly pinch/twist the leather into these square/ninja star like patterns. And with travel on the mind (thanks, NotVentures) and shopping for new bags to hand carry with my new MacBook Air… tonight i’m just staring at this beautiful Smythson Nancy Weekender Bag! See larger pics of it on the next page! What goes together more naturally than food and drink? 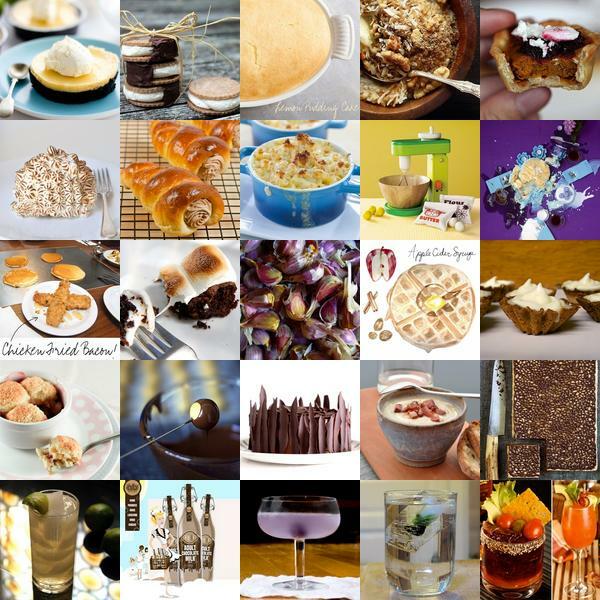 So this week, the top four rows are Tasteologie goodness ~ from Lace choc brownies to wooden kids mixers to smornies to chicken fried bacon… and the last row is Liqurious libations to accompany them… including adult chocolate milk, ice that will turn your drink black, and drinks that taste like savory meals (like burgers!) Click the pics to find out more! In light of the launch of NotVentures and the recently unboxed MacBook Air… impulsively hopped a flight to celebrate ~ deciding to take a quick overnight trip up to SF… which resulted in some gorgeous midday cliche sunny california weather both yesterday and today! Exciting news ~ NO problems at all with 11” MacBook Air going through airport security in my bag!!! And it’s a breeze to pack, and starts up so quickly… perfect for quick work on the plane and at the airport… perfect to toss into a bag that doesn’t scream “laptop!”. And beyond that ~ being a gorgeous day, both ways, with incredible views, i’d be remiss not to give you another Operation Window Seat post! 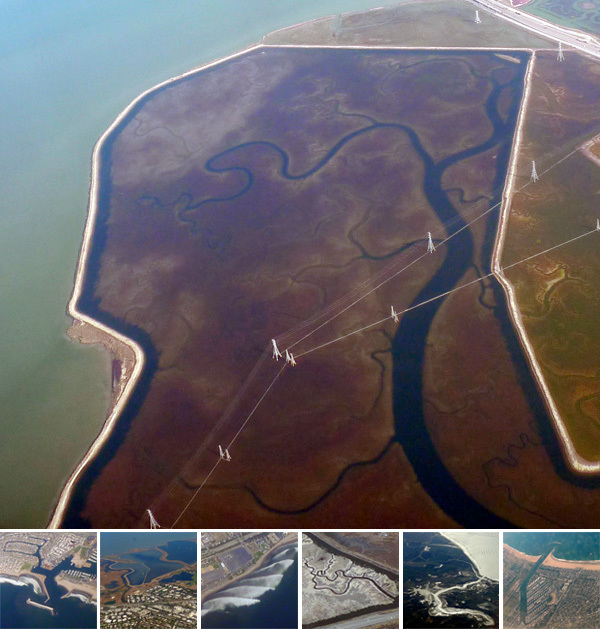 So mesmerizing watching the patterns that show up when looking at the world from above… and getting some literal distance and mental perspective… take a peek at my awesome mini-vacation on the next page! November is off to a great start over at NOTCOT.org. This week’s picks are dark, playful and seamlessly elegant. 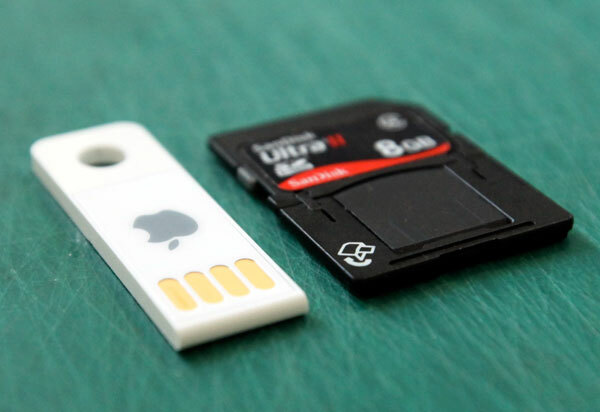 Whether you lust for tech, toys or TRON, it’s all in this week’s roundup. To find out more about each post, simply click on its image. Ok ~ still waiting for files to transfer, so currently tethered to my desktop while the macbook air and macbook pro do their thing beside me… one is so tiny, the other now seems SO HUGE. 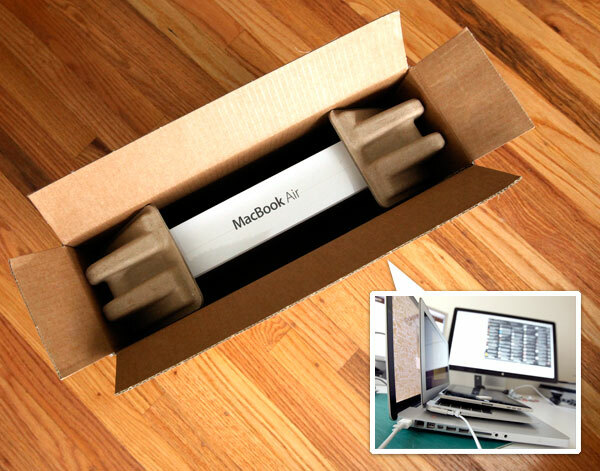 So how about taking a peek at the actual Macbook Air unboxing? It’s lovely how streamlined the packaging is getting these days ~ this one could probably be slipped right into a shirt box! Also its ridiculous seeing the ipad stacked over 11” macbook air over the 15” macbook pro… honestly the iPad looks like its losing this war. Especially if the air can handle photoshop at least decently (my previous netbooks never quite managed this well enough to become a primary travel machine). And shaving a few pounds of my hand carry is something my back would LOVE. Also it opens up a whole new world of purse/carry on options… also lovely that the TSA is saying ok to not having to remove the 11” Air to go through security! I can’t even remember the last time i had the luxury of only having to remove my shoes and toiletries! As for why i had to try one out for myself ~ opening up a bunch of safari windows and loading up as many tabs as i could find for each simultaneously working wonderfully in the apple store convinced me… Keep in mind: air = .67 x 11.8 x 7.56 = 2.3 lbs vs ipad = .5 x 9.56 x 7.47 = 1.6 lbs oh and the mac book pro is just so much heavier and bigger, it’s no comparison. SO! Ready to see inside the box? And the size comparisons? To the next page! NotVentures is here! Escapism at its best! Latest section of the NotEmpire ~ dedicated to helping us all indulge our worldly wanderlust ~ regardless of whether we’re ready to book a flight, or just need a mid day day dream destination. With so many incredible places to see and things to do around the globe (and beyond!) 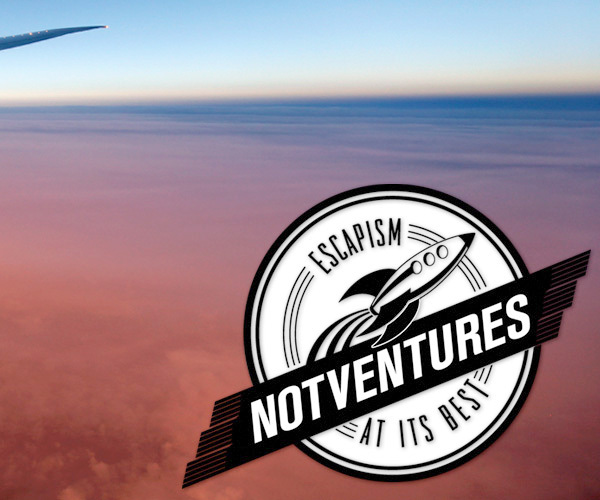 ~ as well as incredible products, resources, and services to help us do them… travel has outgrown NOTCOT.org and into NotVentures! So what IS NotVentures? 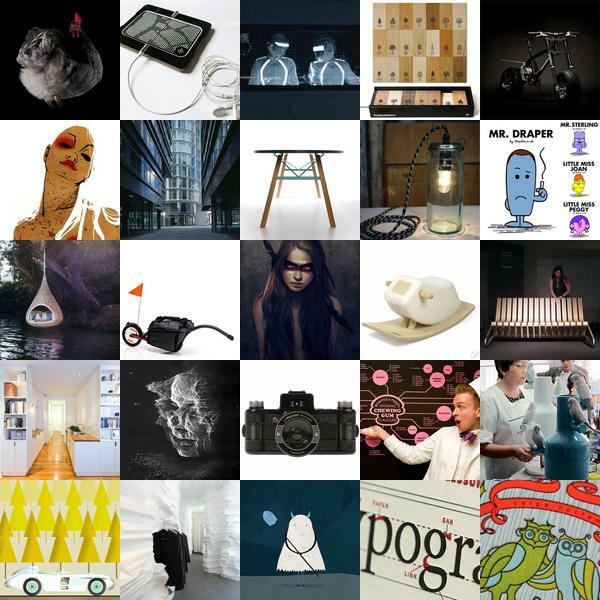 A collection of amazing curated user submission links for you to explore (and submit to if you wish to share!) focused on everything from places we want to see and places we’ve visited and loved to gadgets and articles and anything that helps you get where you need to go… and enjoy it! 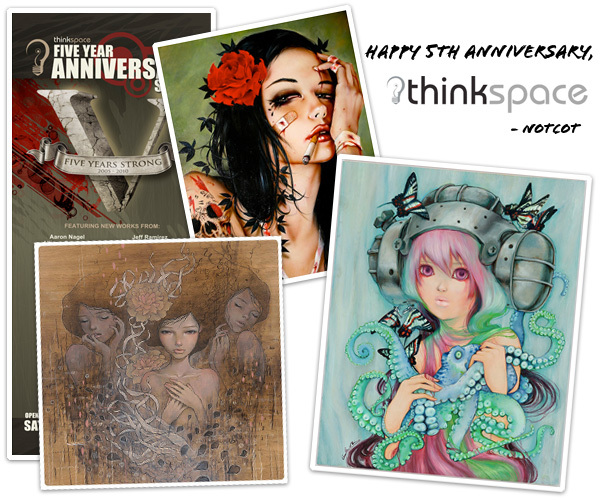 See some examples in the mini roundup below ~ and see more on the site! Masashi Kawamura has found a beautiful way to mix typography and couture with the ‘T’ Shirt line. As his site describes so well - ‘T’ shirts are T shirts that was designed to have the silhouette of 5 famous typefaces; Helvetica, Caslon, Baskerville, Courier, and Cooper Black. In the world of typography, terms such as typeface, character, body, etc are used to describe the form of a letter. The reason why they use expressions closely related to a human body, is perhaps because each different letter has a distinct quality and personality, in a similar way that us humans are all unique. In the designing process of these shirts, I aimed to capture the character of each typeface and tried to give them a unique look and presence once worn. By collaborating with Itaru Yonenaga, I feel we were able to produce a collection of shirts that is not only conceptual, but wearable as real clothes. I hope you will find your favorite shirt/typeface. How do i watch a smart TV? 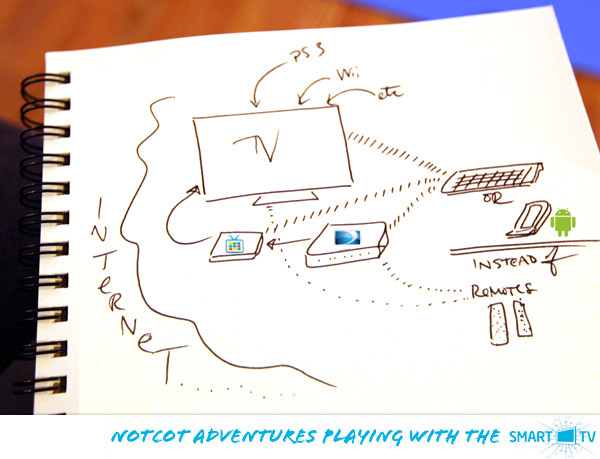 Second in my series of posts about my adventures with smart TVs ~ sponsored by the fun folks at Intel’s smart TVs! As usual ~ content and pics and all that fun is all me and they are supporting me to do it! Since the Logitech Revue unbox post - the question i’ve been getting non stop since i’ve started playing with the Logitech Revue GoogleTV is ~ “Really? How are you using it?” ~ and then i have to tell some silly story as if walking someone through how i watch tv… and how surprised i am to have found the Google TV integrating itself so easily in my day to day life. Unlike the way my Wii and PS3 never did… or the way an Apple TV/Roku/Boxee never did… Even with the limited number of apps on the Google TV platform, i’m surprised how much i’ve used it since plugging it in. The key? Perhaps HOW it fits into my media center ecosystem. I have a tendency to leave the TV on in the background when home, leave the DVR doing its thing collecting shows up while i travel/etc… and Slinboxing shows when i have downtime abroad and have a homesick moment… The key difference seems to be… it sticks itself right in between my DirecTV box and my TV… sure, i can play with the internet on my Wii and PS3 and such as well, but i have to switch sources, and boot them up… this just stays on, and is already connected when watching TV… so the transition is seamless to multitask while doing what i was already doing. SO since i got sick of trying to explain it ~ i’ve tried to make sense of it for you on the next page all in pictures! It’ll make more sense when you head there! This week’s Notcouture roundup is stylish and deadly with claw and bear rings and seriously seductive heels. To find out more about each post, click on its image. 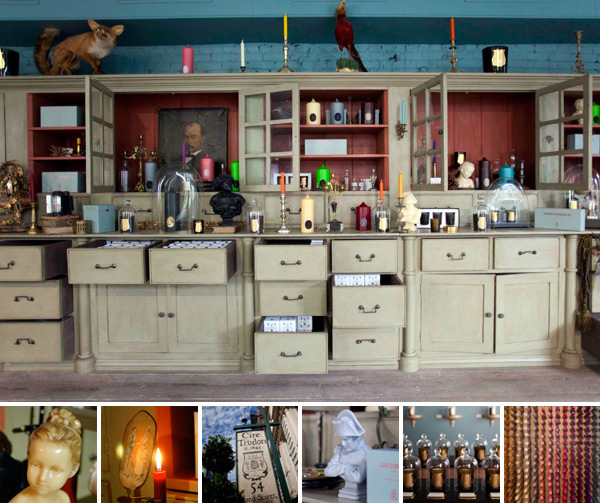 “Cire Trudon, the oldest candle company in the world, is opening its very first shop outside its native Paris in New York’s Nolita neighborhood at 54 Bond Street at Bowery. This will be the first boutique to open since the Paris shop, located in the 6th arrondissement at 78 rue de Seine, opened in 1884.” That is quite a bit of history behind these amazing candles. While i have yet to smell them for myself, Anna was able to make it over to the opening to check it out first hand for us! For some reason there is something about a pouty Napoleon bust of a candle that just makes me smile. Also that the store makes you feel like you’re stepping into another world ~ in another time! Anna mentioned, “They put glass jars over the candles for display, which was a smart way to capture the smell and allow us to get a whiff without being totally overwhelmed by a million different scents in the store.” Take a first look into the stunning store on the next page ~ and perhaps soon i can show you some of their Stink Bombs that sound incredible… but more on that to come ~ to the next page! 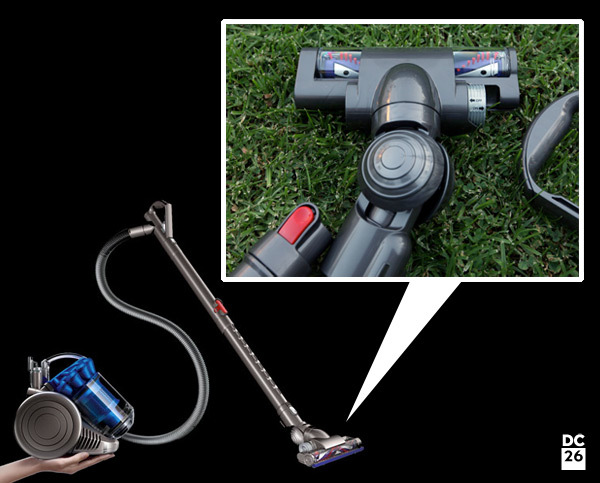 Dyson DC-26 Multi floor It’s the tiny vacuum… the one you’ve seen the ads for that fits on an A4 piece of paper! All the sucking power of a full sized… in a mini! Well, the rolling part that you drag along the floor anyhow. First impressions? AWESOME! and SO CUTE! It really does feel a bit like the chihuahua of vacuums though ~ especially as i pull it along while vacuuming… it’s just that tiny! And half the time while using it, i found myself just picking it up in one hand, while i was vacuuming and holding the extension/handle with my other! At those moments, i wish it had backpack straps, so i could just vacuum like a Ghostbuster. (Really, it’s that awesome and i’m that tempted to just put some straps on it!) There are also amazing faces that pop out of this vacuum while i was taking pics… doesn’t it look slightly evil up there? Very Marvin the Martian or Clamps from Futurama… On fun details to note ~ it has anti-static carbon fiber brushes! And like the other Dyson vacs, it has fully articulating heads, so you can easily slip it under the bed, desk, etc when cleaning, but it weighs in at a mere 12 pounds. Take a peek on the next page for a full unboxing ~ as well as a comparison of it to the dustbusting handheld DC-31!